Fresh from unveiling the first smartphone with an on-screen fingerprint sensor, another Vivo smartphone has surfaced on Weibo. 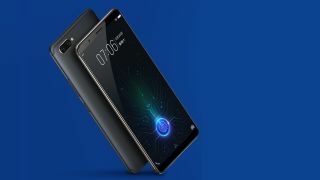 Pictures from a presentation detailing a new Vivo smartphone have been leaked which show off the Xplay 7. Vivo’s top of the line flagship series didn’t get an update in 2017 but it is rumored that the Xplay 7 will be launched sometime this year. In the slides, Xplay 7 is listed to sport 10GB of RAM with 256GB or 512GB of onboard storage. The phone is also expected to have a 92.9% screen-to-body ratio which also means that it will be outfitted with an in-screen fingerprint sensor. Vivo’s smartphones that will come with this embedded fingerprint sensor use Synaptics Clear ID optical sensor. This sensor only works with OLED displays because it doesn’t need backlighting as is the case with having LCD displays. The sensors work from the gaps between the pixels which is why the technology stays invisible. As the Xplay series is Vivo’s premium range, the smartphone in question is also said to feature a 4K display and twin camera setup courtesy of Sony’s IMX sensors. The Xplay 7 will be powered by Qualcomm Snapdragon 845. After Vivo’s launch of the Xplay 7, we can expect smartphones with 10 GB of RAM to become mainstream. In fact, there is a high chance of the next OnePlus smartphone, Vivo’s not so distant cousin, to adopt the same. There’s no information around the official launch of the Xplay 7 but we expect the phone to make an appearance during MWC 2018 where Vivo is listed as an exhibitor.